As one of the leading providers of QuickBooks training in the country, VARC Solutions offers a variety of options for class delivery. 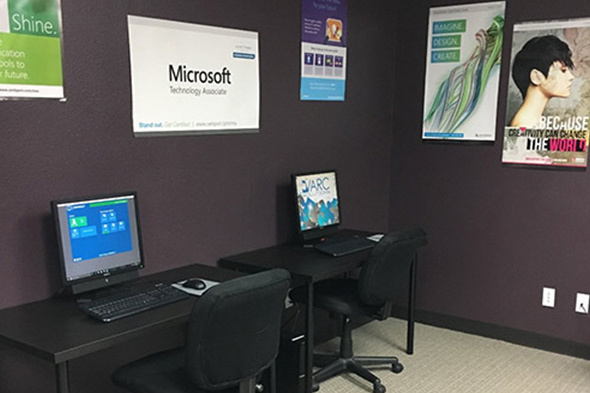 All of our classes are available on-site at your office, in-person at our state-of-the-art training facility located in Friendswood TX, or through live, remote web-based training. We also conduct frequent Lunch & Learn classes on specific topics at locations around Houston and can design custom training sessions tailored for your particular needs. Let us take the guesswork out of the prepwork for your CPA! We can assist with design, generation and reconciliation for tax, payroll, and operational reporting. Need help exporting and preparing your QuickBooks data for CPA review? VARC Solutions can help you do this cost effectively! Want to use the online bank integration features included with QuickBooks? We can configure those features to help simplify processes and reduce costs. Full-service, ala carte, system set up – VARC Solutions provides outsourced bookkeeping and controller services customized for your business. You choose which tasks you want us to do and which tasks you want to keep internally. Let’s face it, accounting is a chore. Want to be more efficient at it so you can spend more time on the important stuff? Let one of our workflow experts analyze your operation and help you tighten up your processes. The Ultimate Practice Management tool! Let VARC Solutions customize this CRM to the unique needs of your business. Intuit’s Merchant Services module is the only terminal software that integrates with and is specifically designed for QuickBooks. Let VARC Solutions perform a FREE competitive analysis to show you how much money you will save with this solution. Skip the hassle! We set everything up, process all facets of payroll including taxes and state reporting, and even handle year end (W2’s, 1099s, etc)! Make intelligent business decisions. In addition to the standard financial reports, we can create customized reports to show you who your most profitable clients are, who your most productive staff members are, trend, forecasting, and much more. QuickBooks is an accounting program that is made for the end user. You might know accounting, but let us train you the QuickBooks way. We even have CPAs as clients, and we have taught them the QuickBooks way. VARC Solutions can assist you with most any facet of the accounting process related to your business enterprise.